Our apartment is 65 sqm and is located on the 2nd floor. The house is on a dead end street so there is no traffic so our home is quiet. The apartment consists of a large living room with a balcony facing the street and one spacious bedroom which is facing the sunny garden. In addition there is a smaller room with a diningtable also facing the garden. The shared garden is equipped with a grill, outdoor furnitures and a hammock. Our balcony has flowers and plants that needs a little care (water). Our apartment is equipped with TV, DVD, stereo, Vinyl/CD; wi/fi/ guitar and lots of great artbooks since we both love books. We have two extra airbeds that could be placed in the livingroom for extra guests. The bathroom is equipped with a bathtub with shower. The toilet is separate and located in the small hallway. Laundryroom is located in the basement and is shared by other tenants. Although not superluxury, our home is quiet, cosy and have all necessary facilities for a comfortable stay. 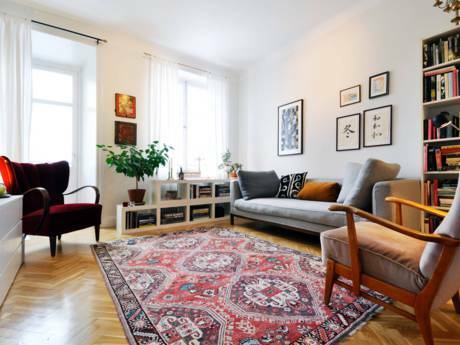 Our apartment is located on a quiet street on Södermalm, the hip and vibrant, yet most relaxed part of central Stockholm. Since Södermalm (or more commonly Söder) is an island, it is surrounded by water and there are wonderful walkingpaths along the waterfront. From where we live you have only a few minutes walk to both parks and the waterfront as well as restaurants, shops and galleries. Our street is home to some of the nicest restaurants, bookstores, vintageshops and designerclothesstores in the city. In our block you´ll also find many foodstores, bakeries etc. Subwaystation Mariatorget is one block away, and you reach Old Town in 3 mins (2 stops) and Central Station in 5 mins (3 stops). In this part of town you also have the best nightlife with numerous clubs, bars and musicvenues. There are also excellent opportunities for outdoorlife with numerous parks nearby as well as larger areas with beautiful forests and lakes within 30 mins by public transport. 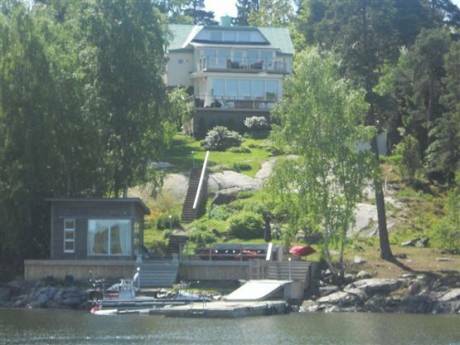 We have a small rowingboat with a outboardmotor located at Långholmen which is 15 mins away by foot. To see Stockholm from the water is a unique and very nice way to experience the city! 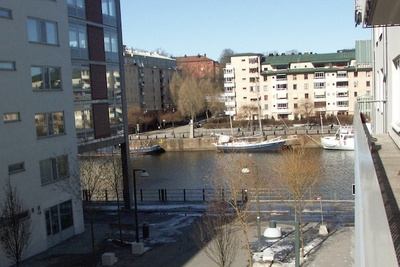 Stockholm is one of few capitals in the world with very clean water, excellent for swimming! Right in the center you have also great fishing opportunities with salmon, trout etc. Depending on your individual interests we will be more than happy to assist you with more detailed information to make your stay as rewarding as possible! We are My and Carl, in our 30s/40s, and both professionals. My is a graphic designer and photographer and Carl is a photographer. We both share a deep passion for the arts, books and music as well as outdoorlife such as skiing, hiking, sailing etc. We have travelled extensively both privately and through work and love it! Carl has lived in New York before when he studied photography and we both lived in San Francisco during a period when My was studying design. We are well connected in the design/art/photography world of Stockholm, if you are interested in this field.